A very heavy crop of medium sized fruit from late August to October. Very vigorous, very prickly. Suitable for barrier or windbreak. Not a variety for general garden use, but suitable where sufficient room is available. 20-301b fruit per plant is normal. 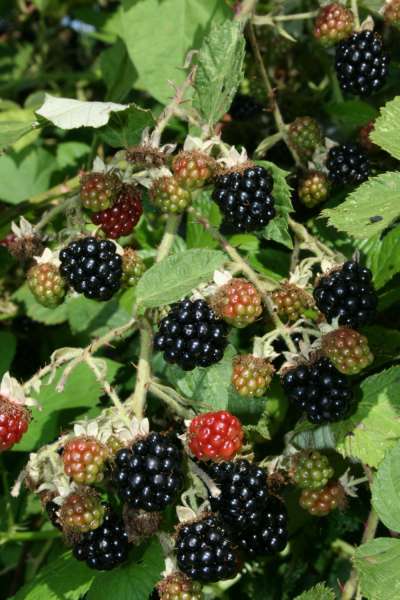 Derived from the wild European form of Rubus Procerus.